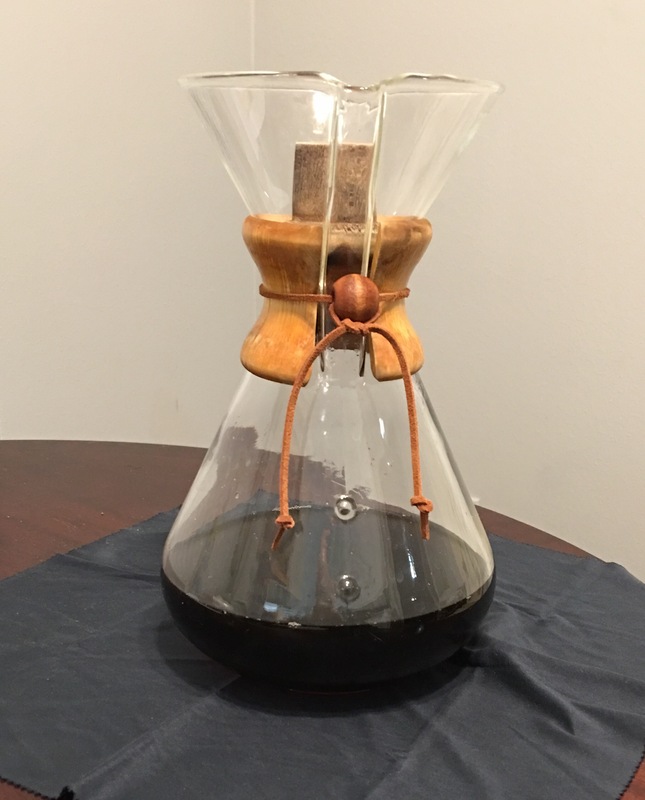 Not long ago I posted that I had been gifted a vintage CHEMEX coffee carafe. After taking it apart and cleaning it, I foolishly attempted to recondition the leather thong that holds the wooden insulators together by soaking it in leather conditioner. When I tried to put it back together today the old thong disintegrated. So I did what I should have just done in the first place. I drove to a nearby craft store and bought a length of new leather thong. The CHEMEX is now assembled. Filter paper had previously arrived from Amazon. A bag of whole bean “Christmas Blend” was obtained from the new Starbucks that opened up around the corner. Quite satisfactory … and satisfying.